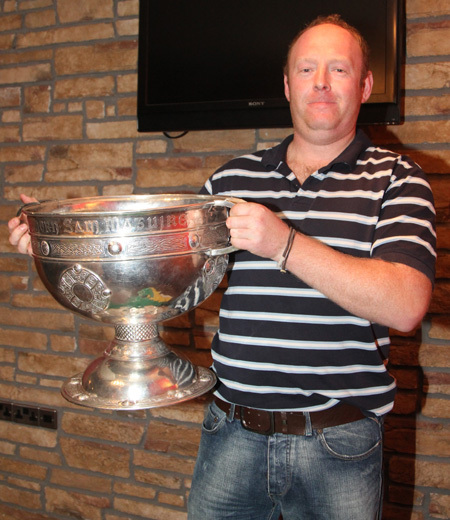 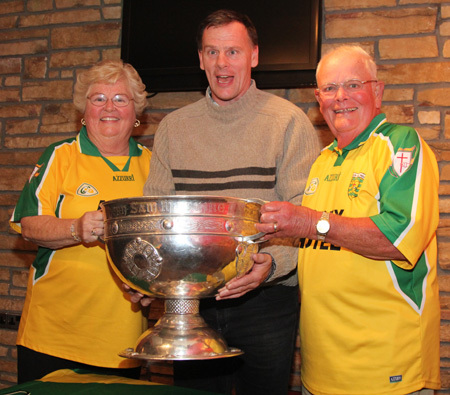 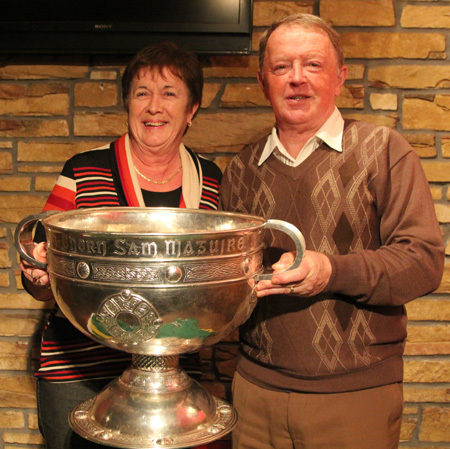 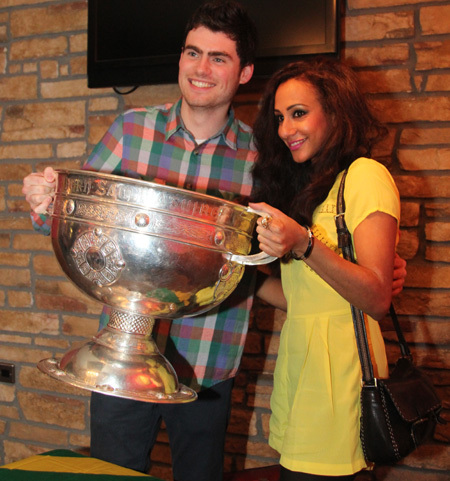 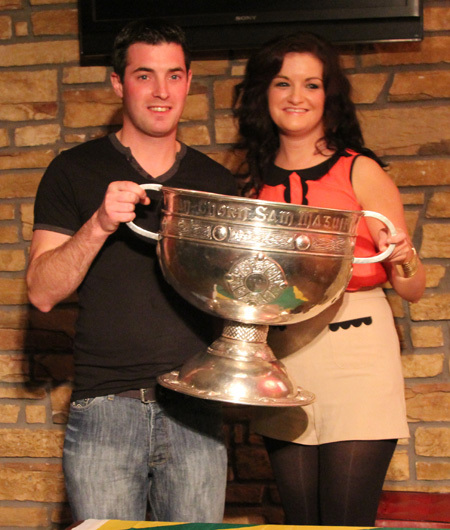 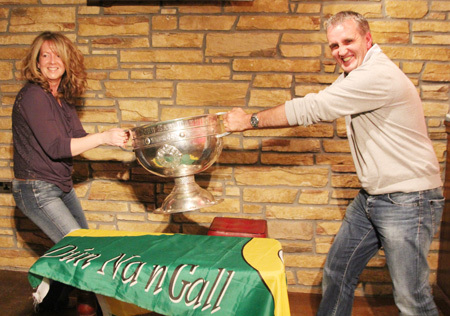 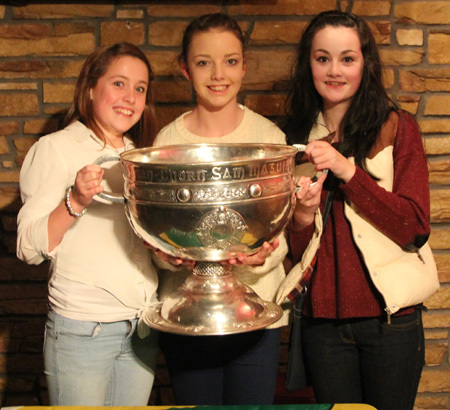 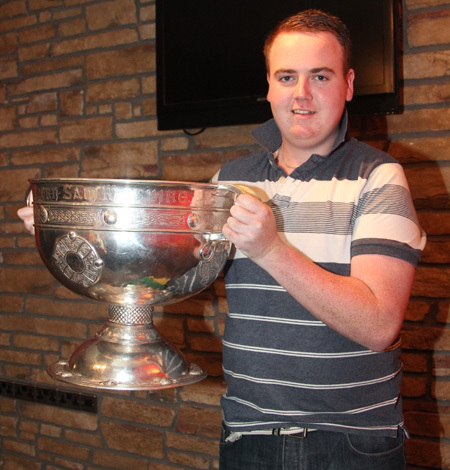 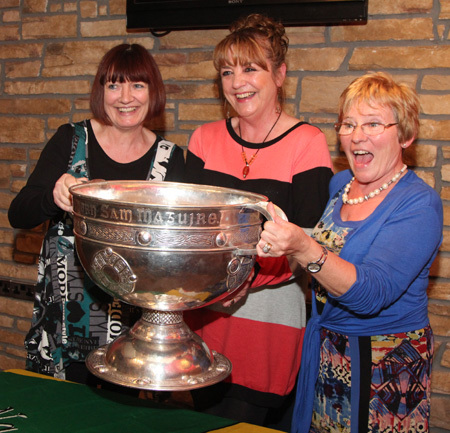 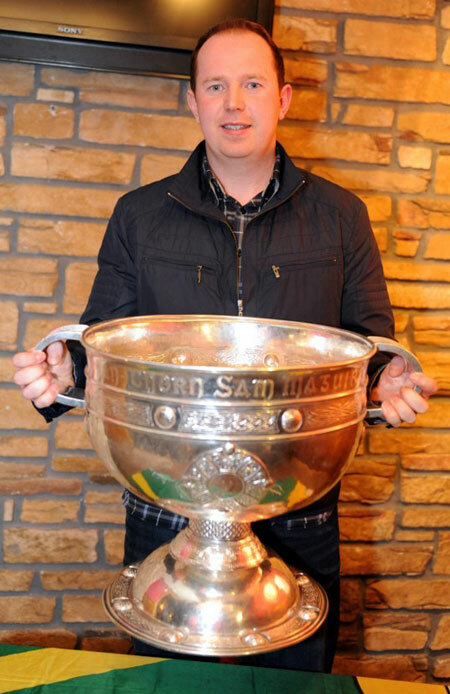 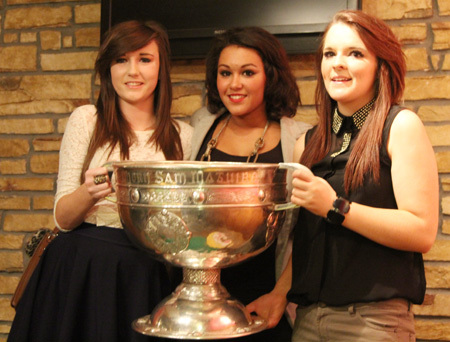 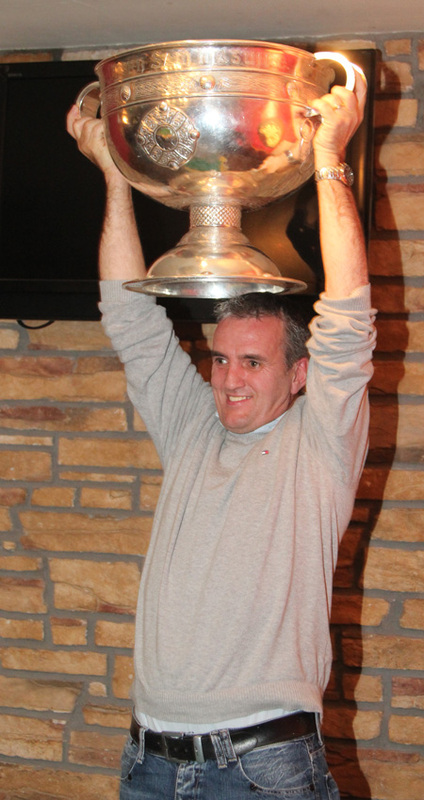 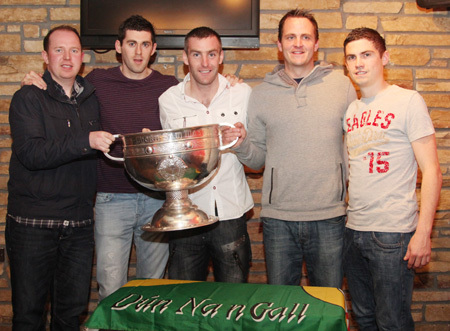 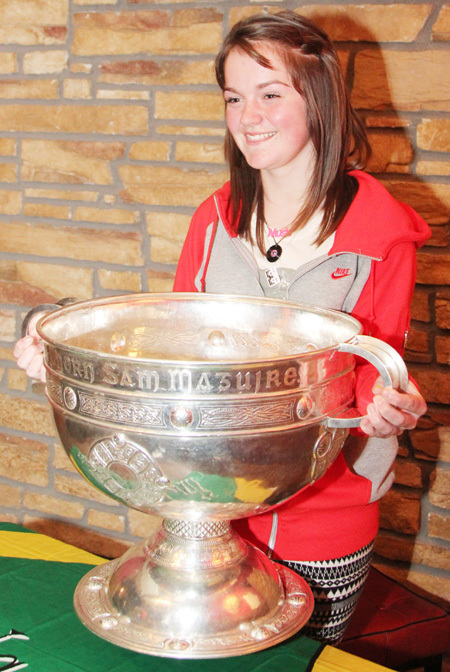 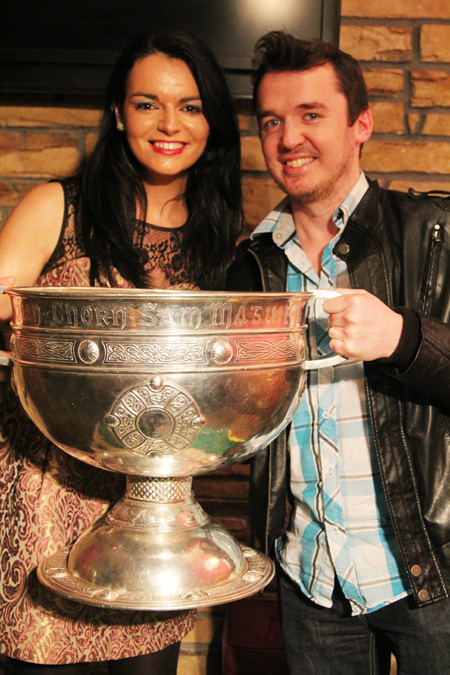 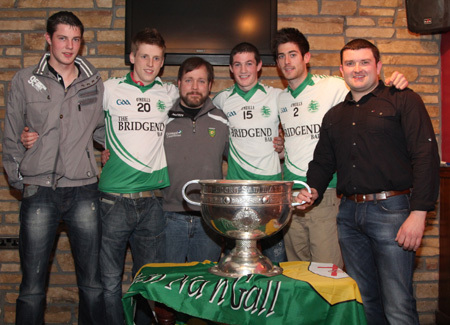 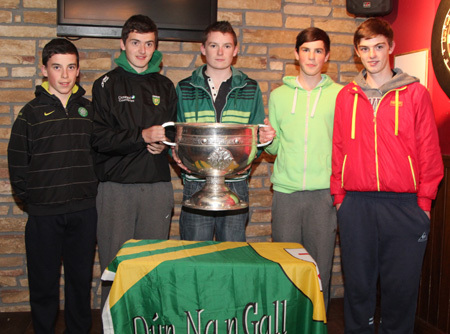 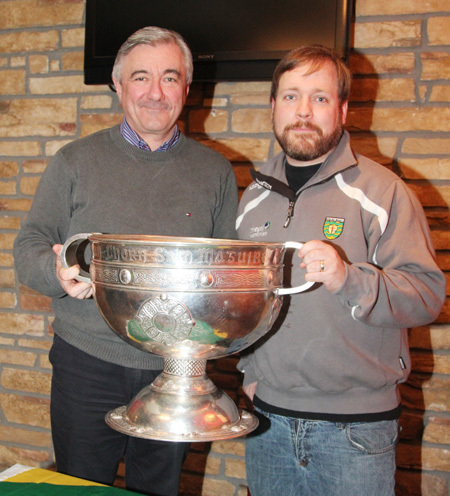 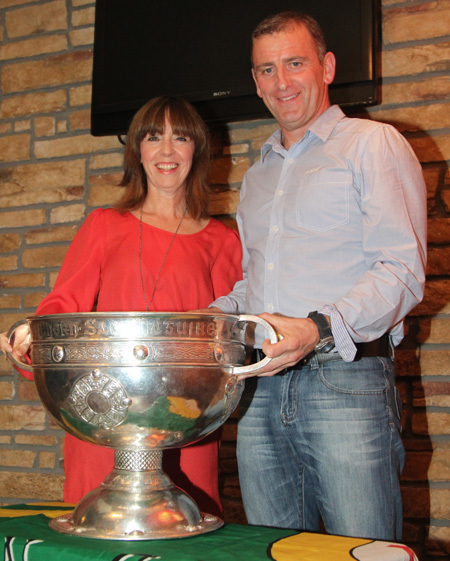 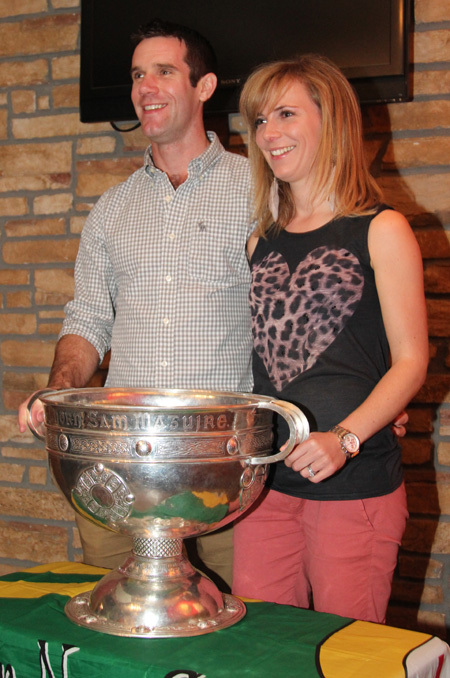 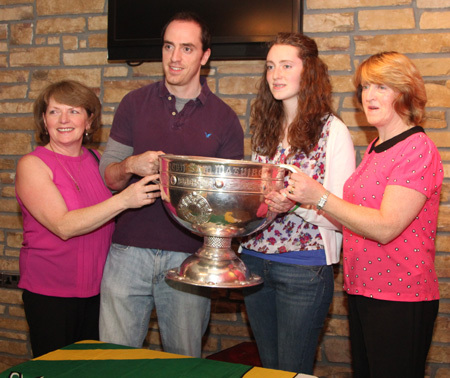 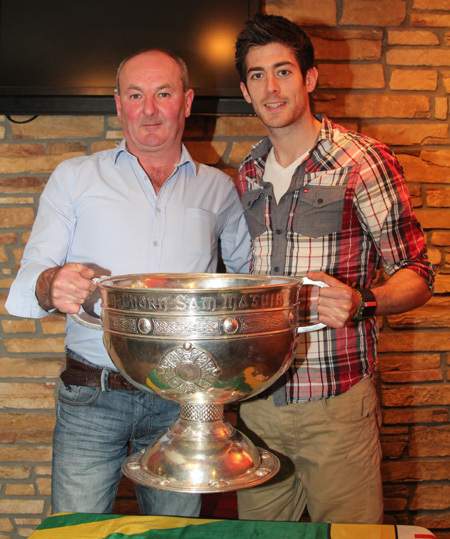 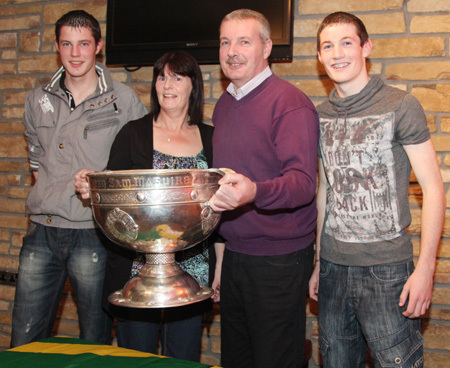 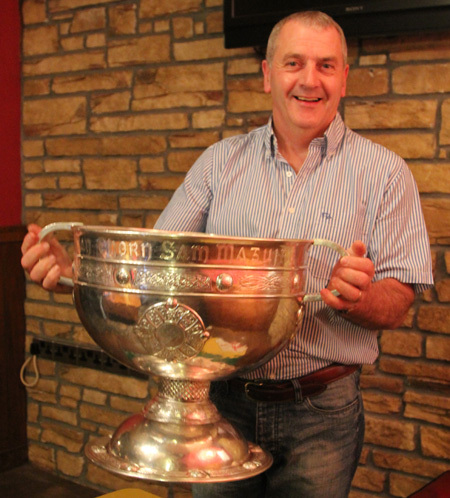 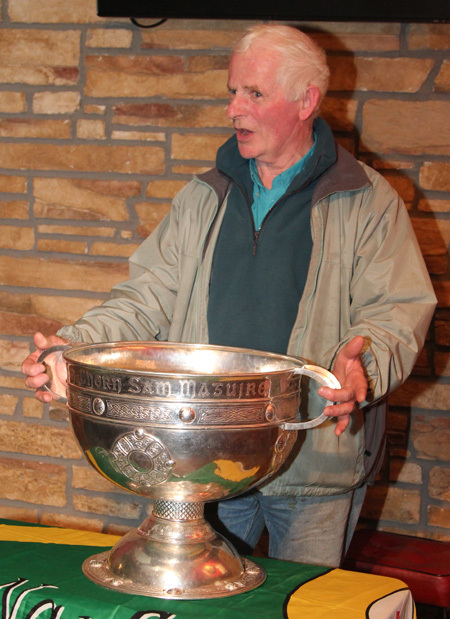 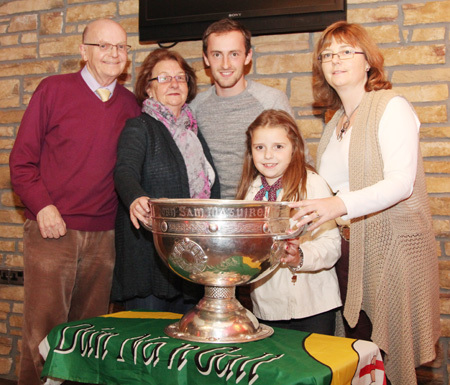 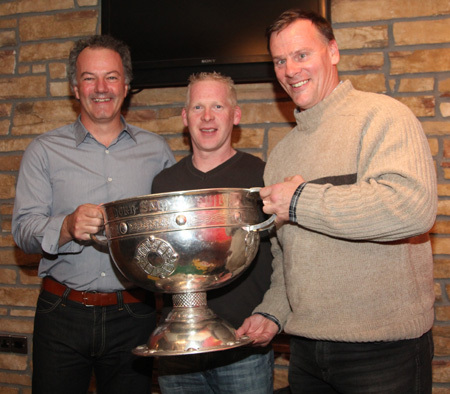 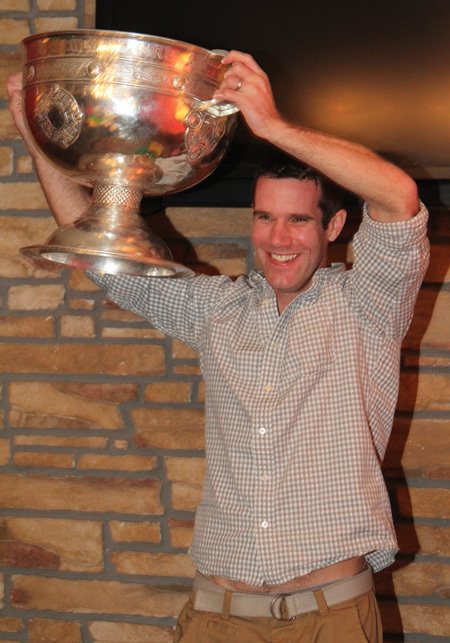 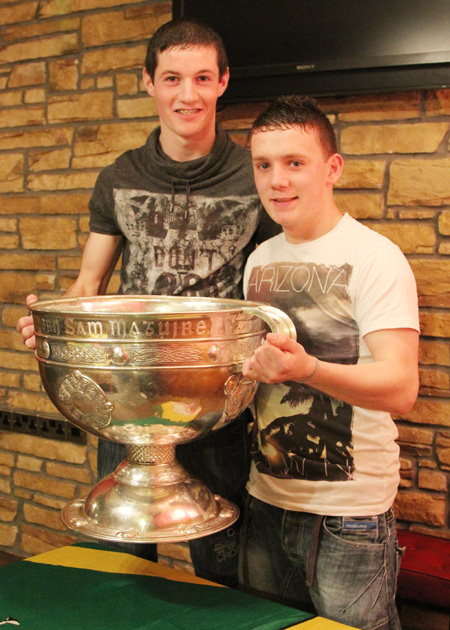 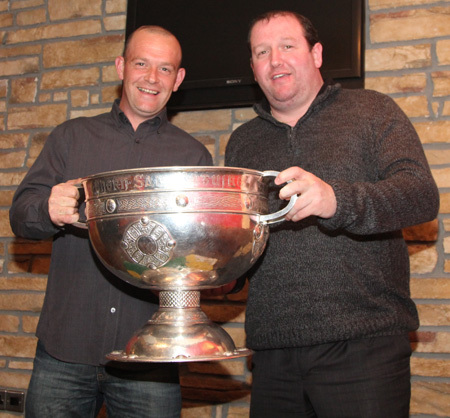 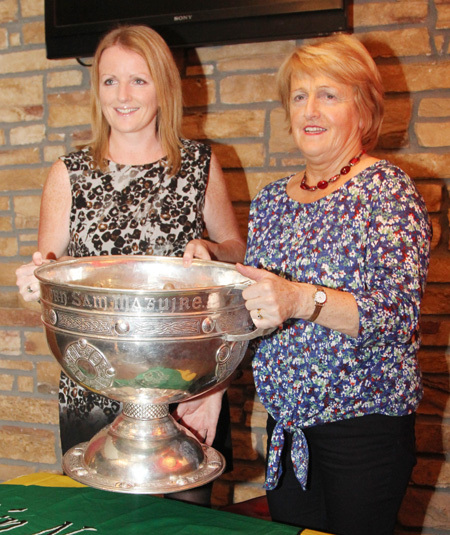 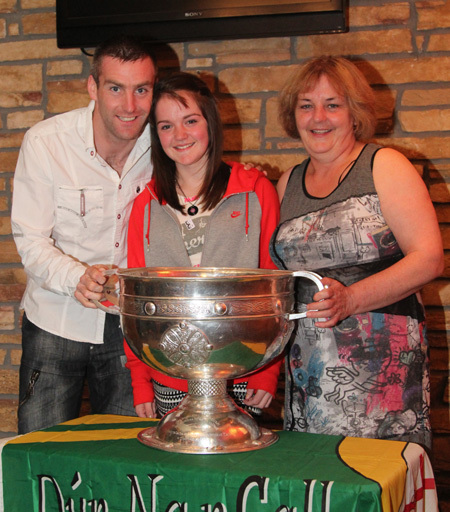 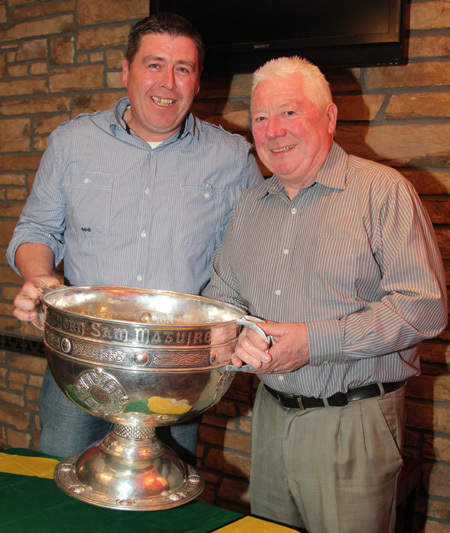 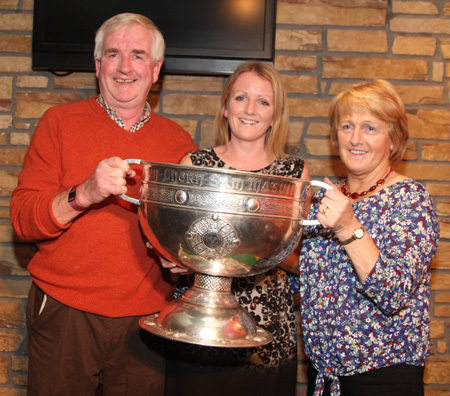 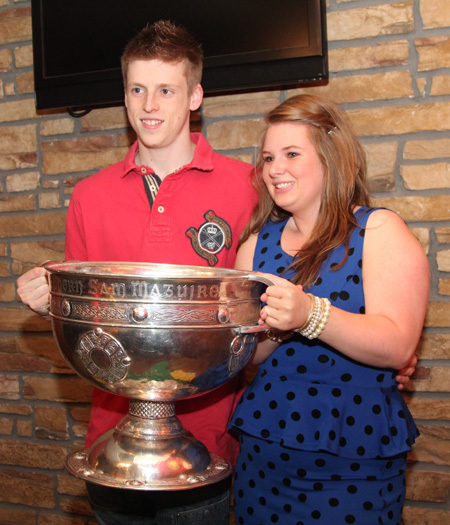 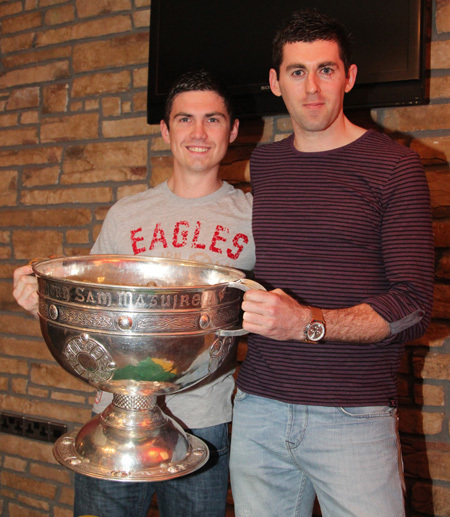 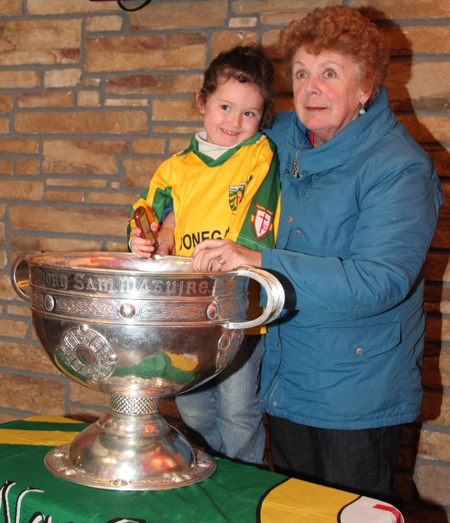 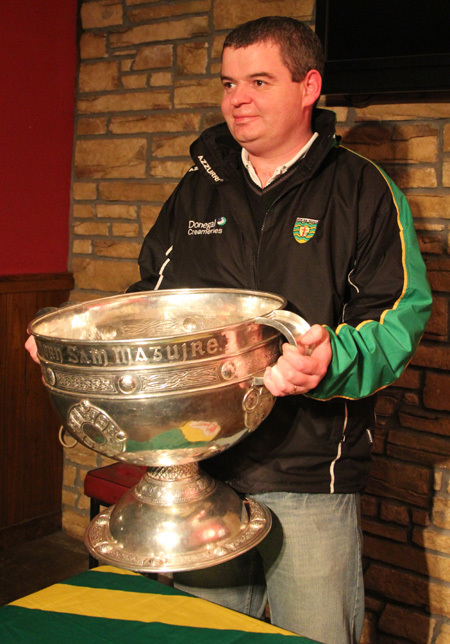 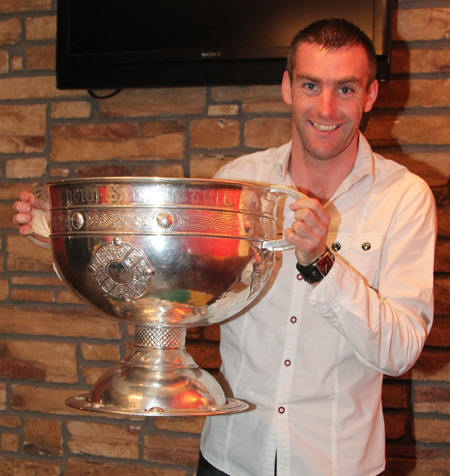 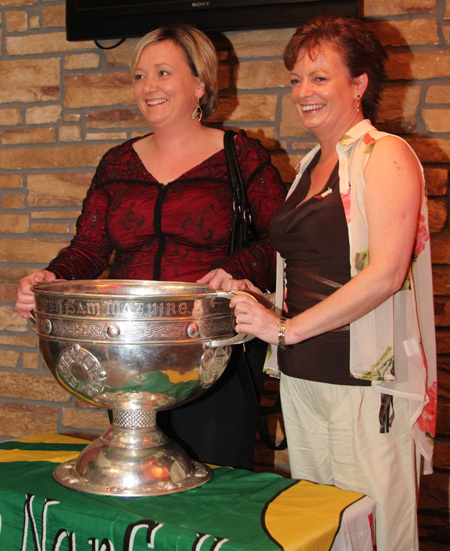 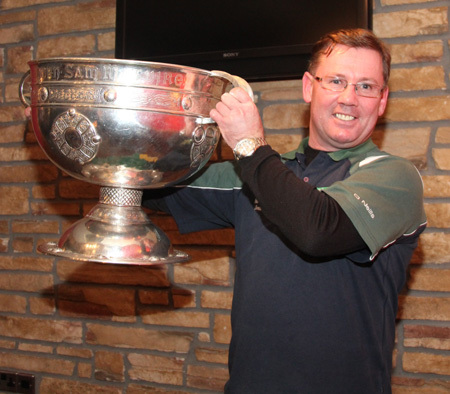 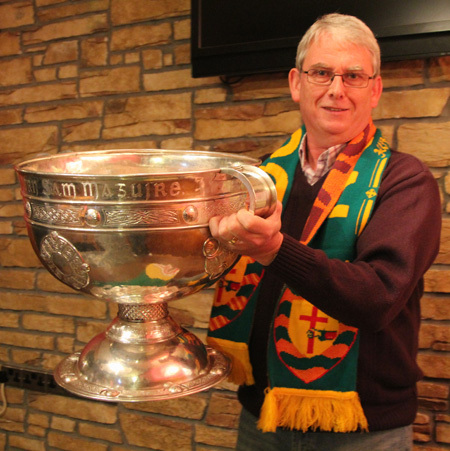 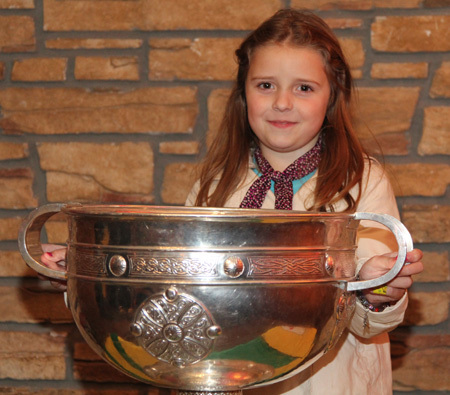 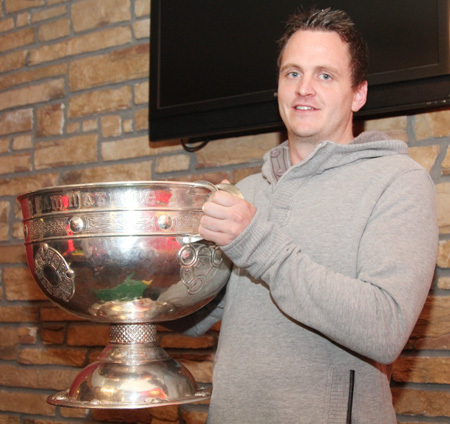 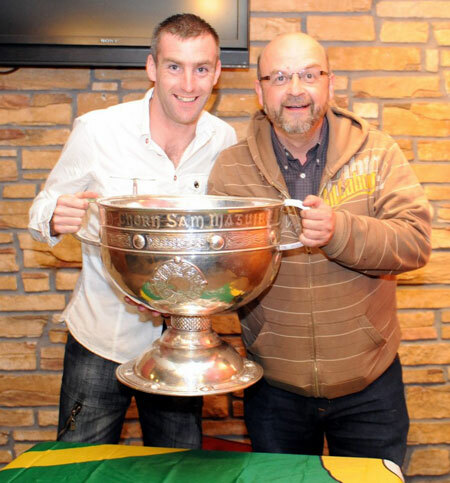 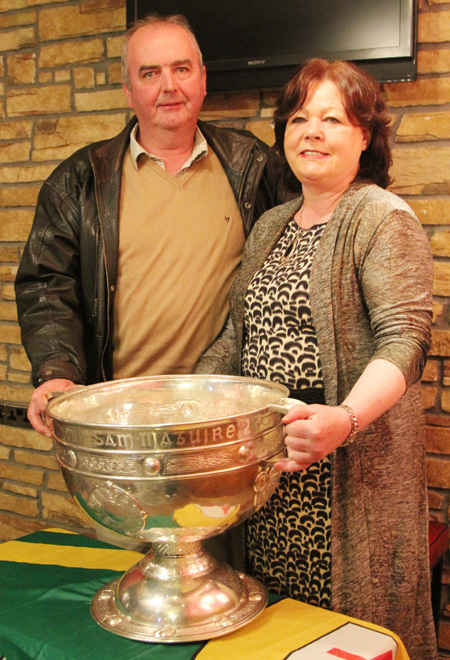 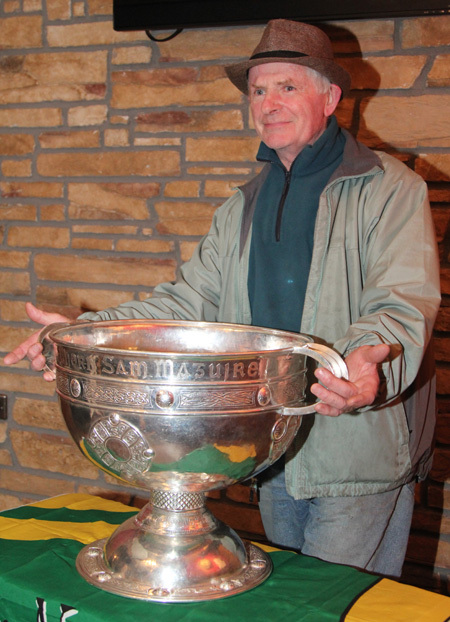 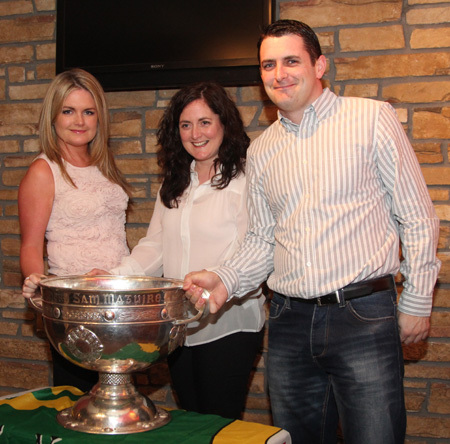 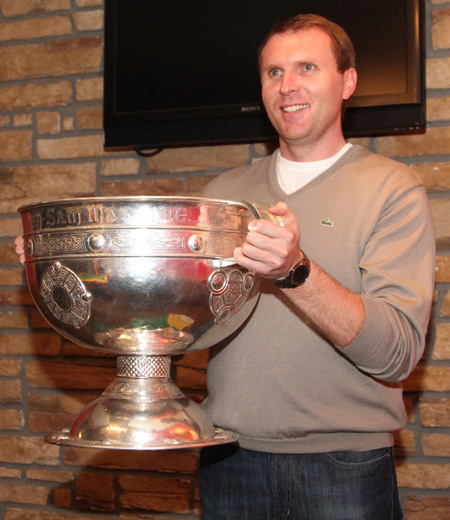 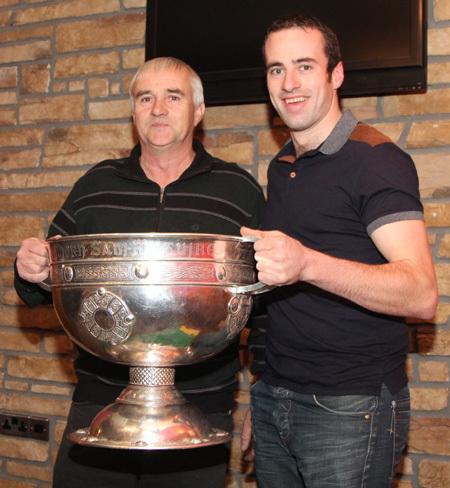 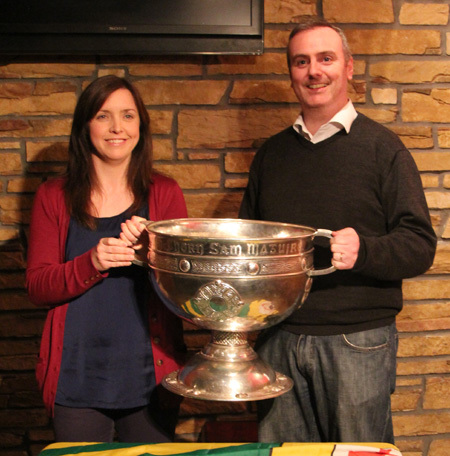 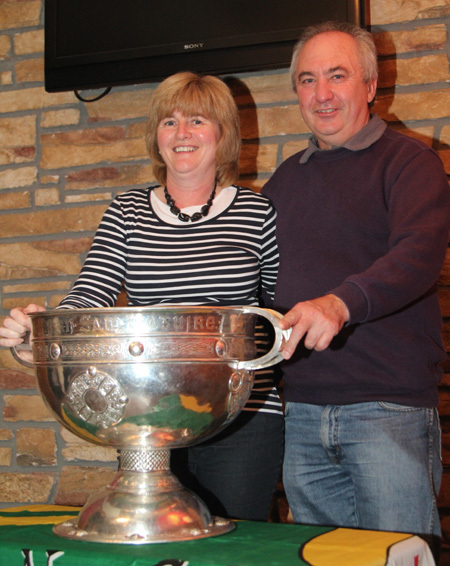 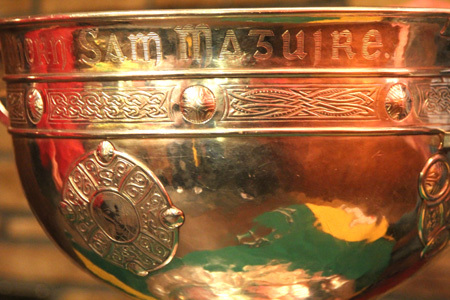 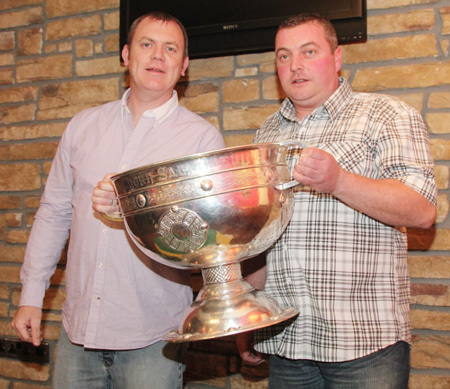 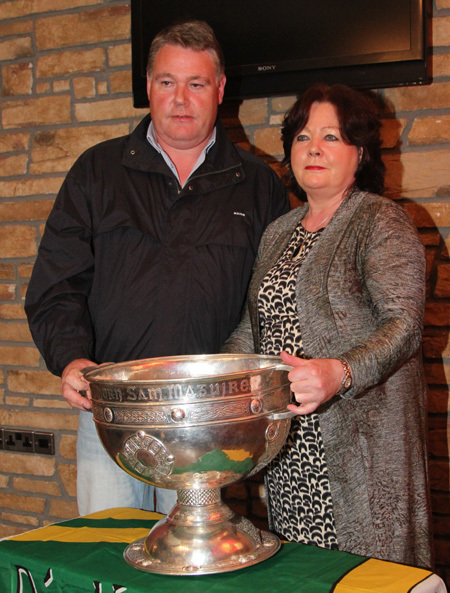 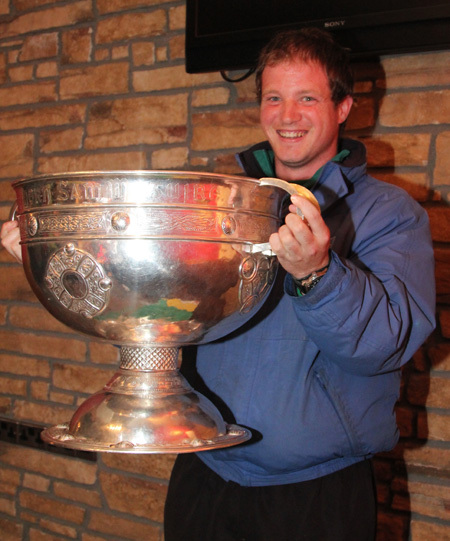 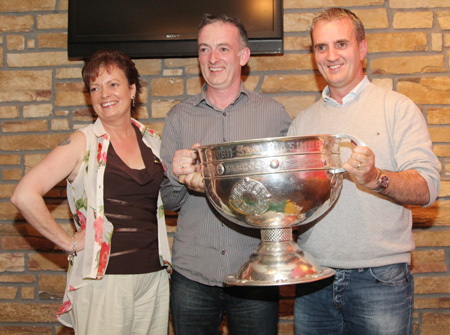 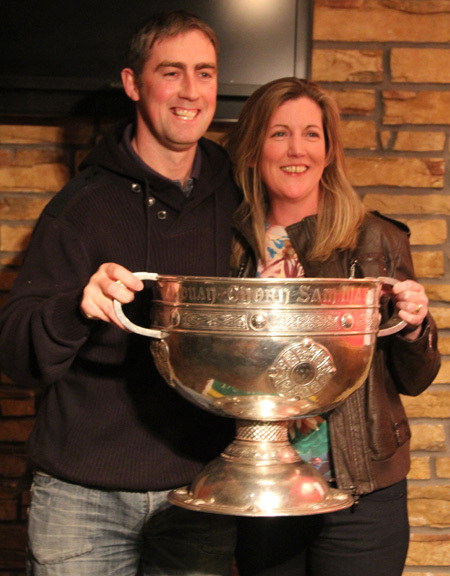 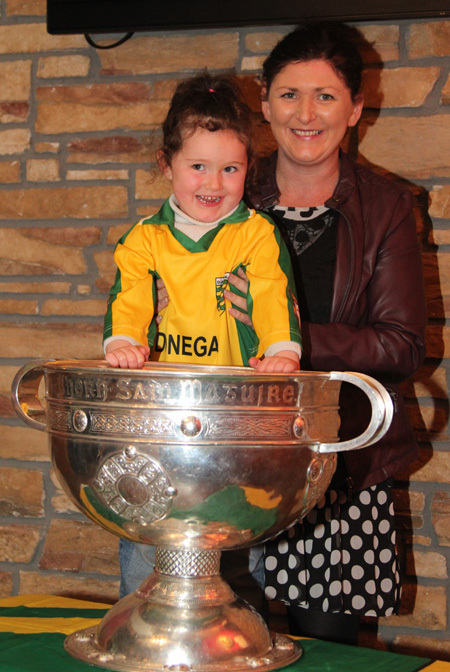 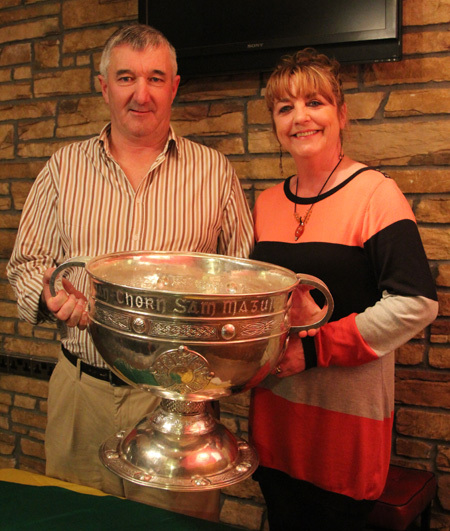 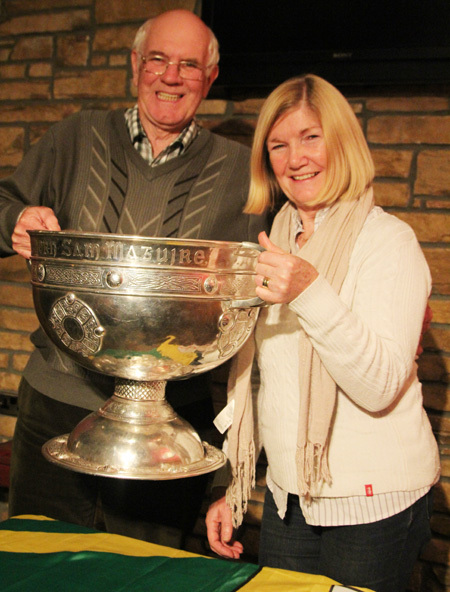 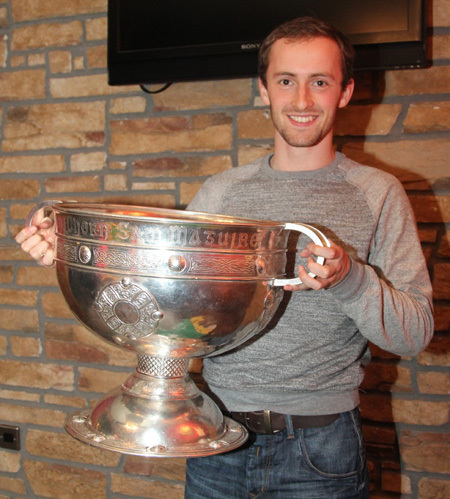 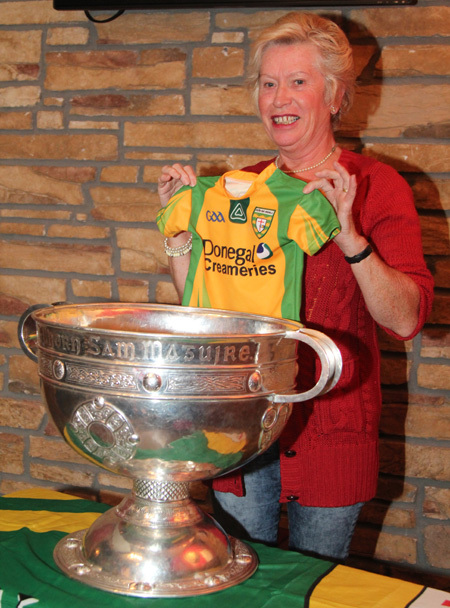 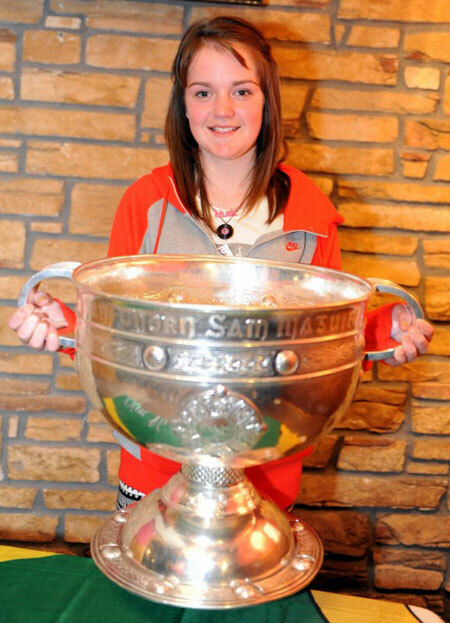 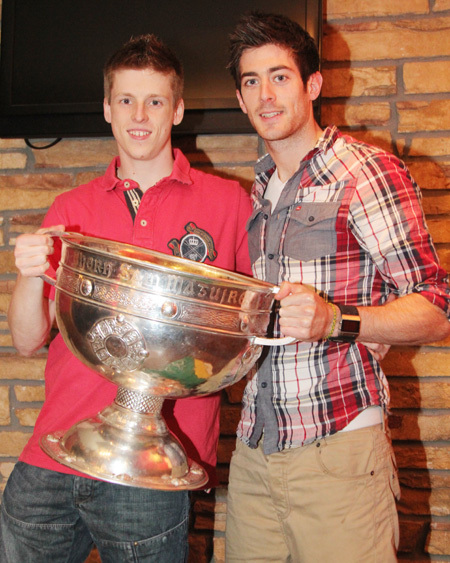 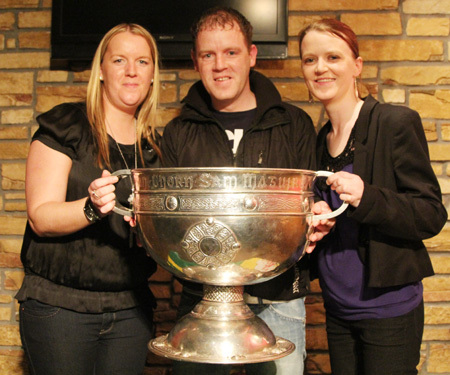 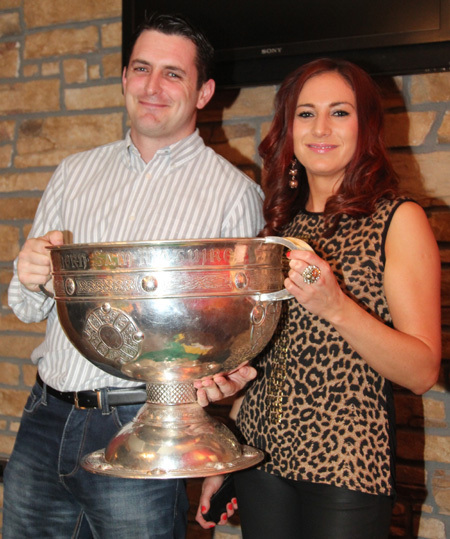 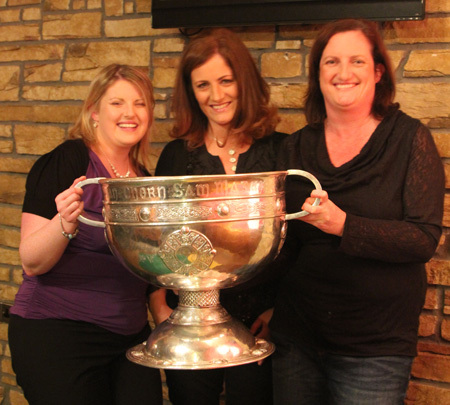 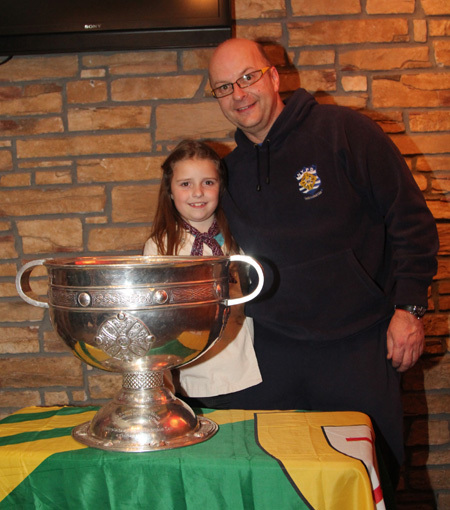 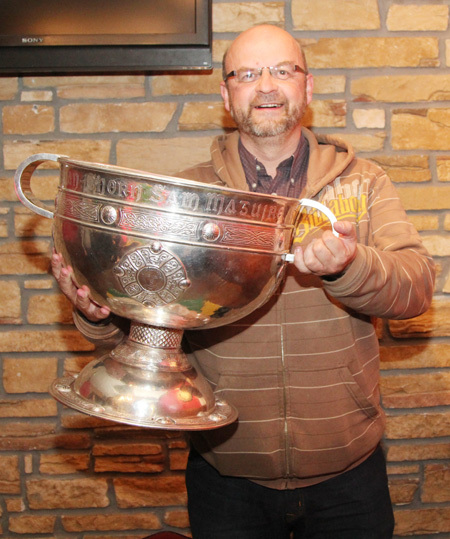 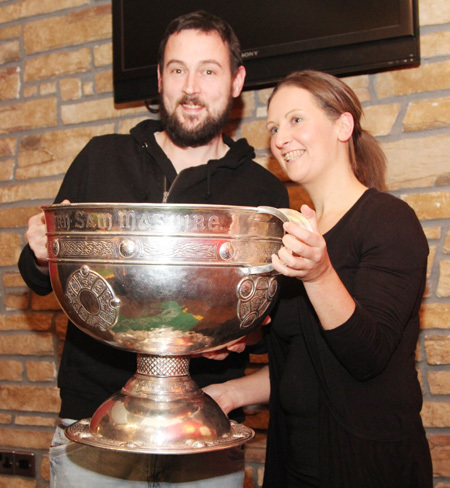 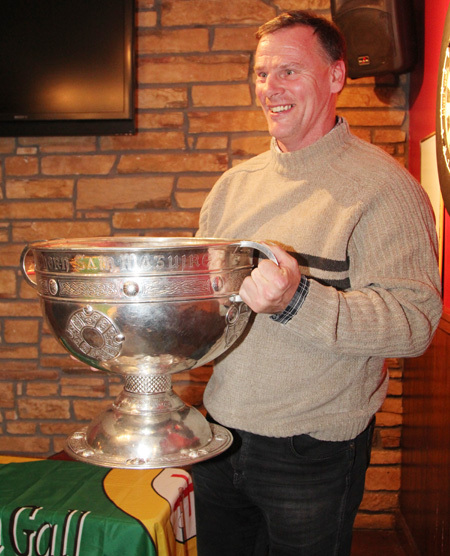 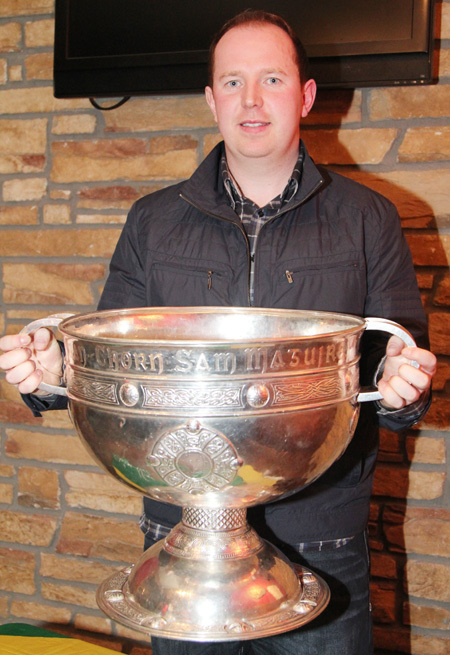 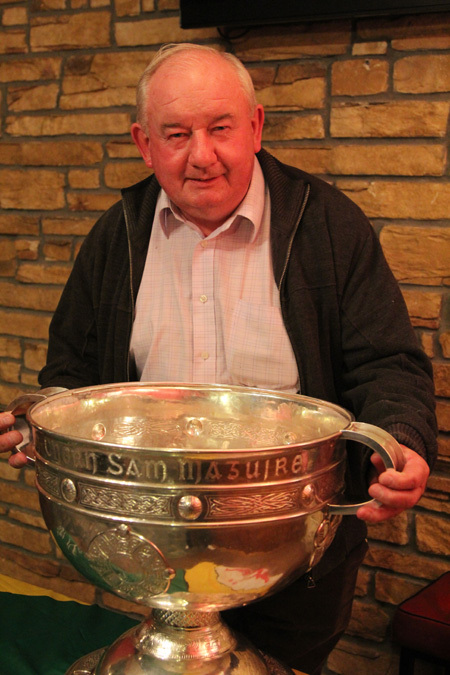 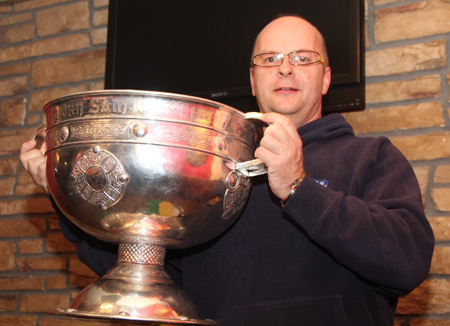 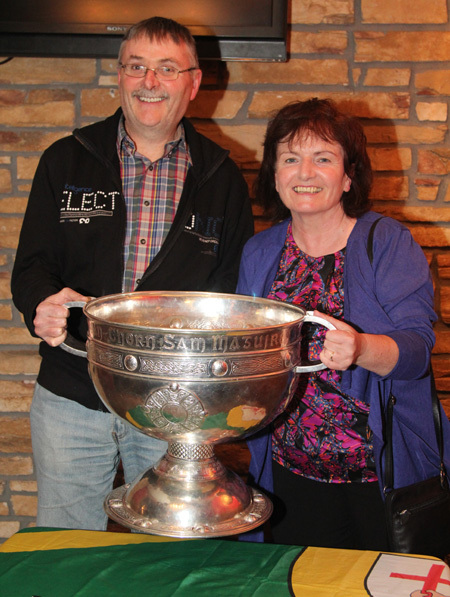 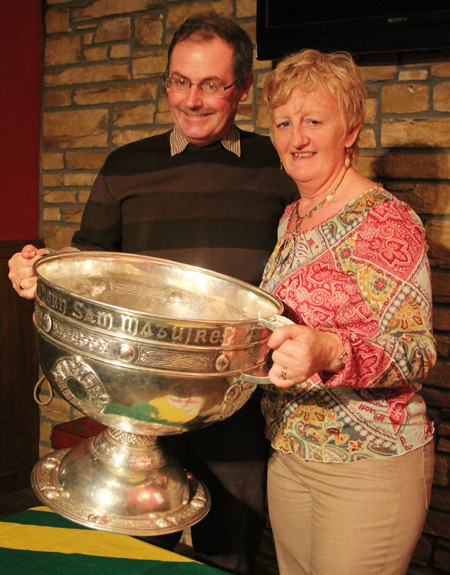 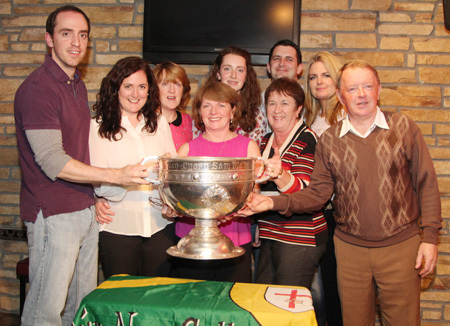 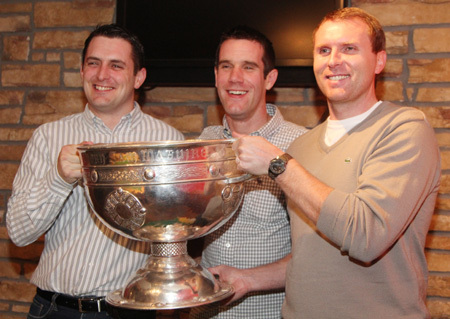 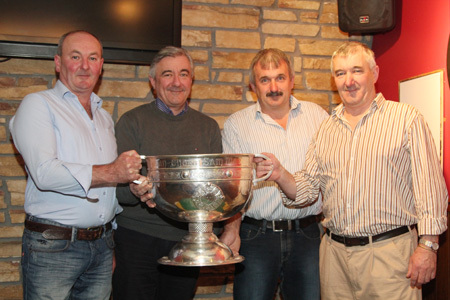 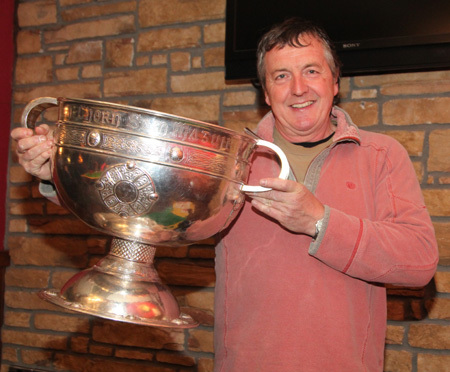 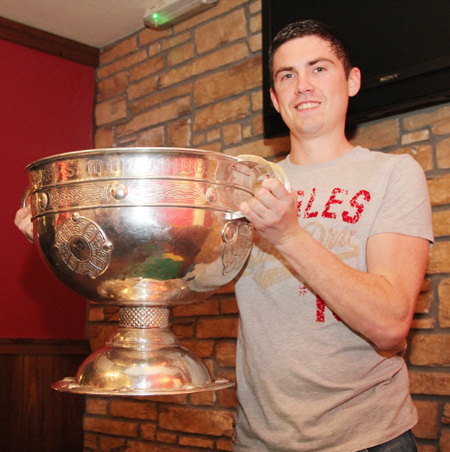 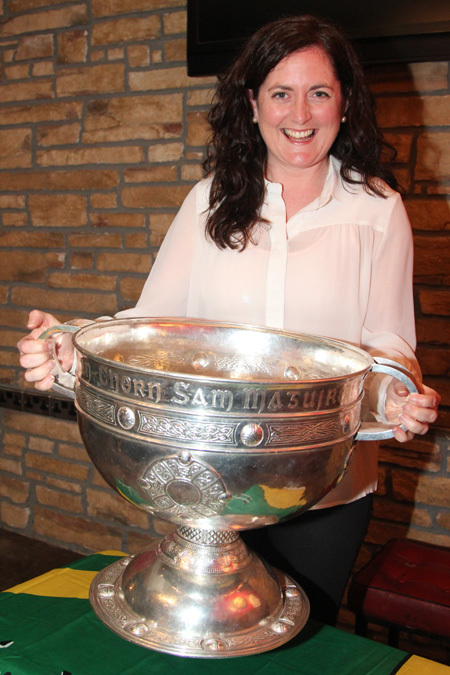 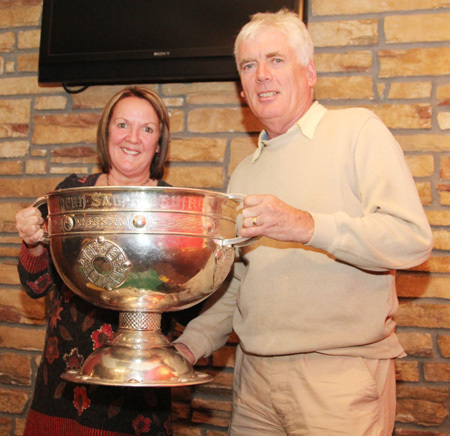 Sam Maguire was a visitor in the Bridgend Bar on Saturday night for a special showing of the All-Ireland final with commentary by Sean Perry. 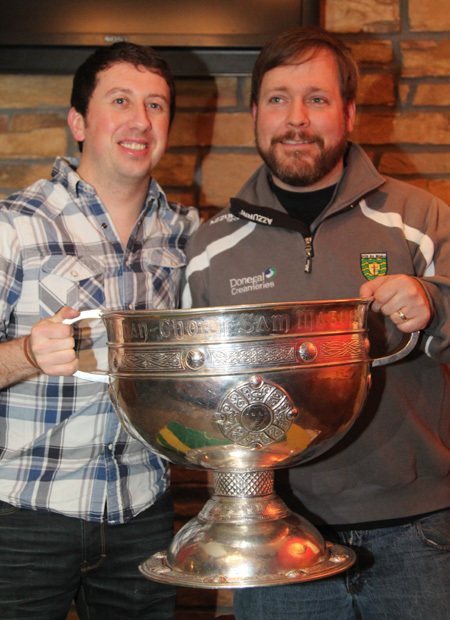 Brian Drummond was there taking pictures. 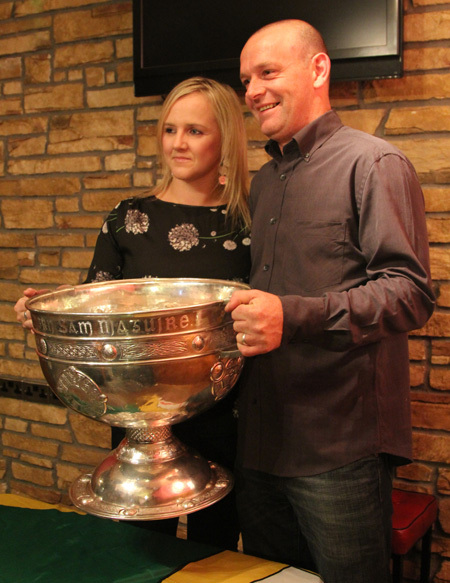 Prints of these pictures are now available in the Bridgend and can be obtained in return for a donation or your choice to Aodh Ruadh Bord na n�g.